You may contact me via email @denisekennedy1963@gmail.com or cellphone 386-290-3027 for inquiries or you may follow the following link https://www.homeescape.com/90188356 to request to book!!! We have over 85 5 star reviews on other booking sites! 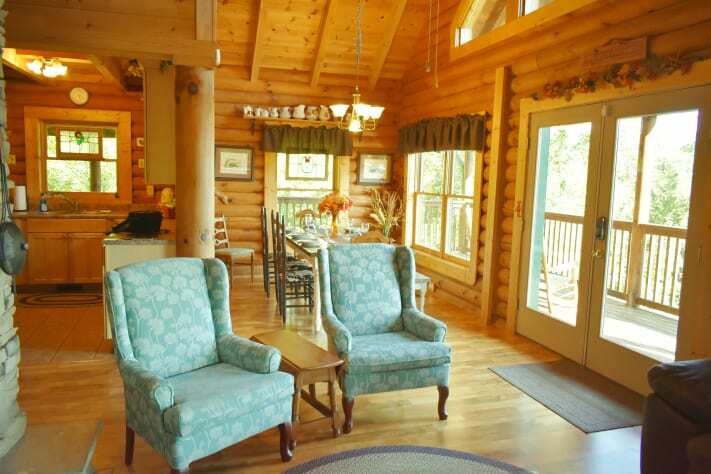 "Rocky Top Refuge" is a beautiful 3 story full log cabin with panoramic views of the mountains. 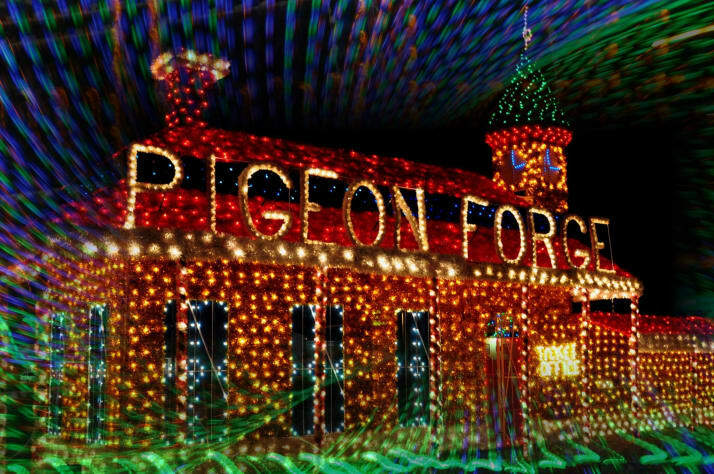 We are located approximately 10 minutes from downtown Pigeon Forge and 3 miles from Dollywood, come and listen to Dolly's train from the wraparound porches. 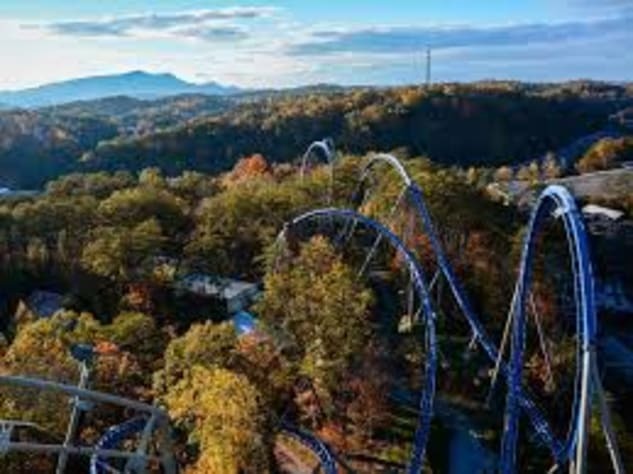 We are also located 20 minutes from Gatlinburg, take the "back way" thru the Arts and Crafts area for a scenic drive. 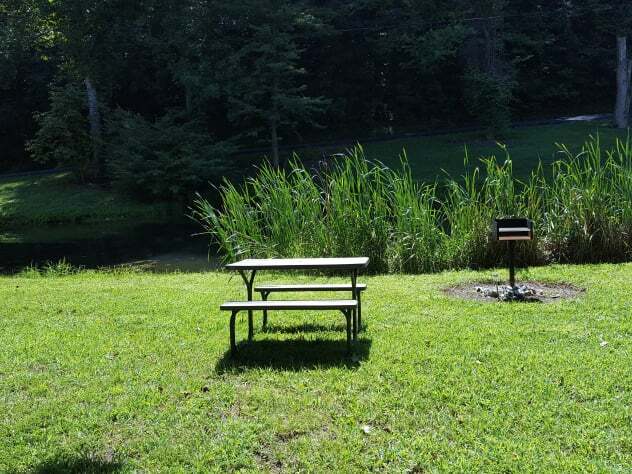 All roads are paved to the cabin and there is enough off road parking for up to 3 vehicles. 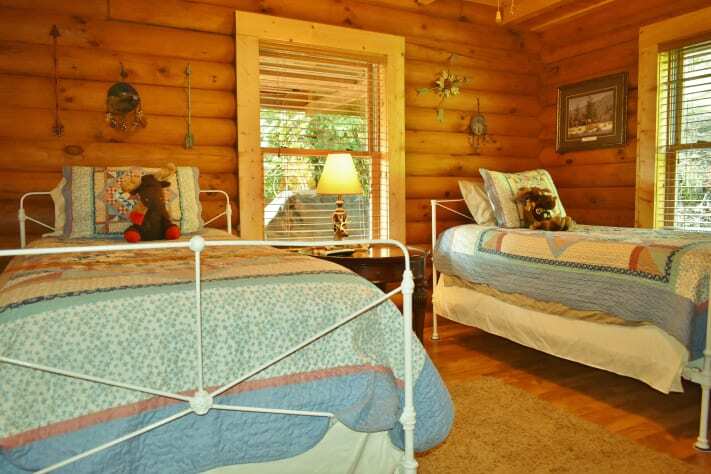 Rocky Top Refuge is a 4 bedroom, 3 bath full log cabin that sleeps 10 and has all the amenities you can ask for in a mountain escape. There are only 4 steps leading up to the main level which offers an open floor plan with a fully stocked kitchen, so you can enjoy cooking your favorite meal while watching TV or DVD on the flat screen in the living room. 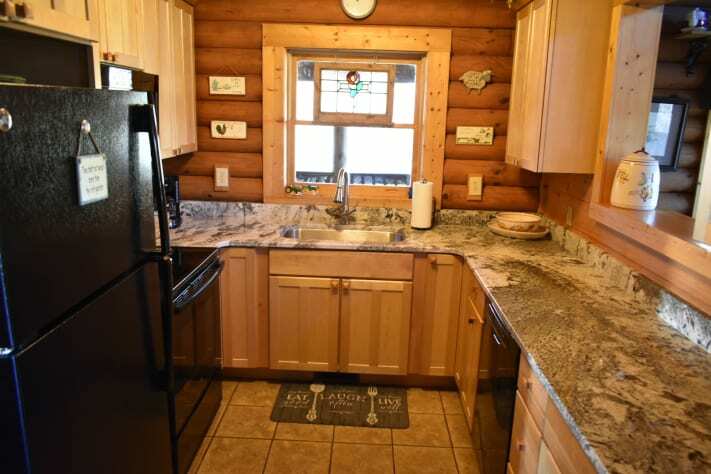 The kitchen has been recently updated with new appliances and granite counter tops. The living room provides two new loveseats and two armchairs to relax on after a long day of site seeing, shopping or hiking. You can also enjoy the stone gas fireplace, with easy to use timer, on those cold winter nights. There are two large bedrooms on this floor. 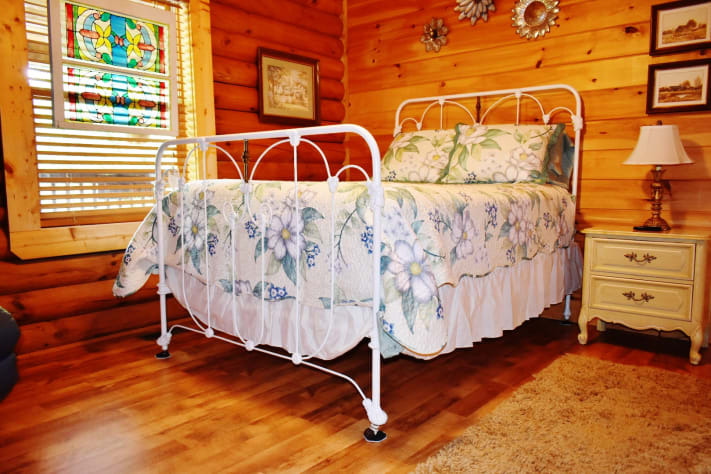 One bedroom contains a full antique iron bed with TV and local channels. The other bedroom contains 2 antique iron twin beds with satelite TV. 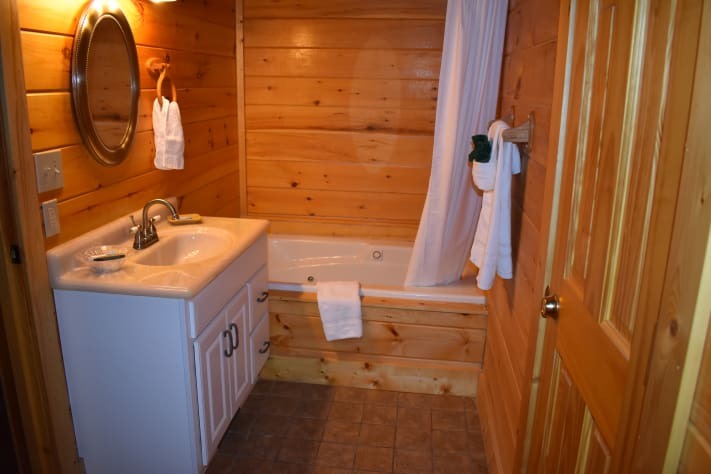 There is also a full bathroom with tub/shower located on this floor. We offer a full laundry room with washer and dryer on this level. Ironing board and iron can be found here as well. 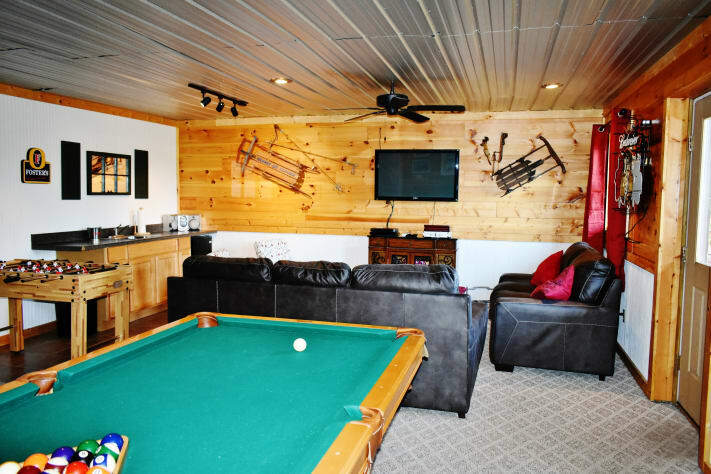 On the lower level, you will find the perfect place to have fun and enjoy the company of your family in the large game room. There is a flat screen TV, DVD player, pool table, foosball table, cards and board games. We also have provided a mini-fridge and kitchenette for your convenience. 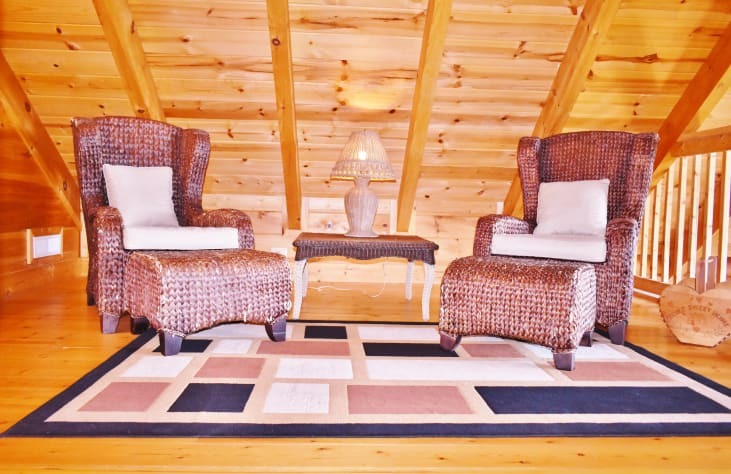 This floor you can also enjoy the lower deck and its 4 person hot tub, sit back enjoy the views. Enjoy the flat screen TV while you are playing a round of pool or just hanging out with family and friends. You will also find another large bedroom with a queen sized bed and new queen sleeper sofa. There is also additional full sized bath with tub/shower combination on this level. On the top level you will find the master bedroom with king bed and full bathroom with jetted tub. 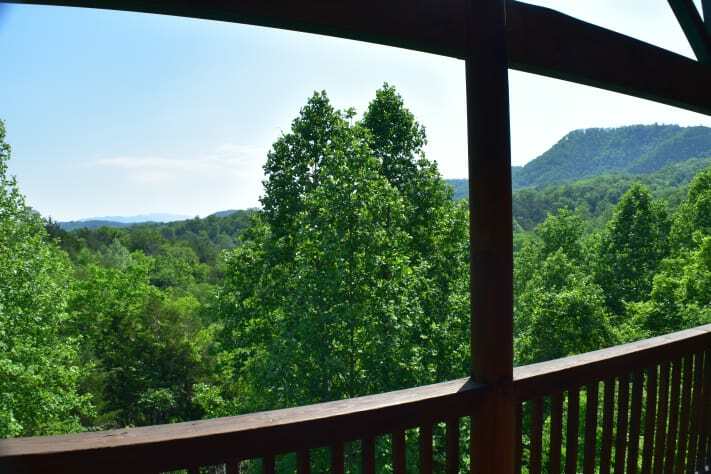 Outside this large bedroom, is a lovely loft that you can enjoy while reading some of the books that are located here, enjoy the views or put together a puzzle during those rainy Smoky Mountain days. 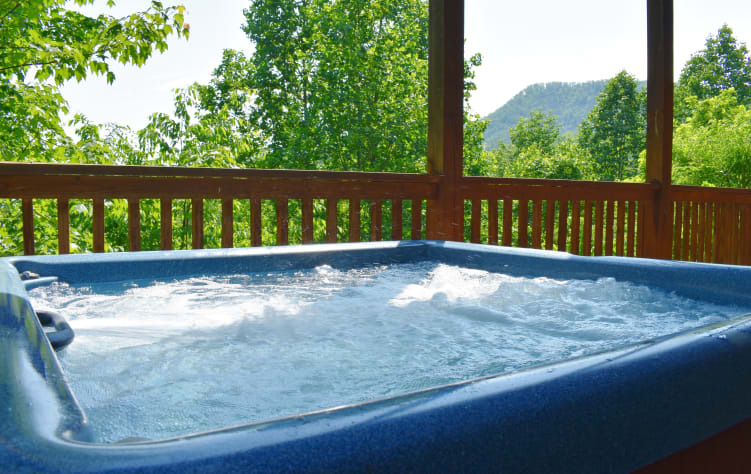 After a long day of sightseeing, shopping or hiking come back "home" and relax and enjoy the views from either of the wraparound decks while rocking or swinging your cares away in the rockers or porch swing. 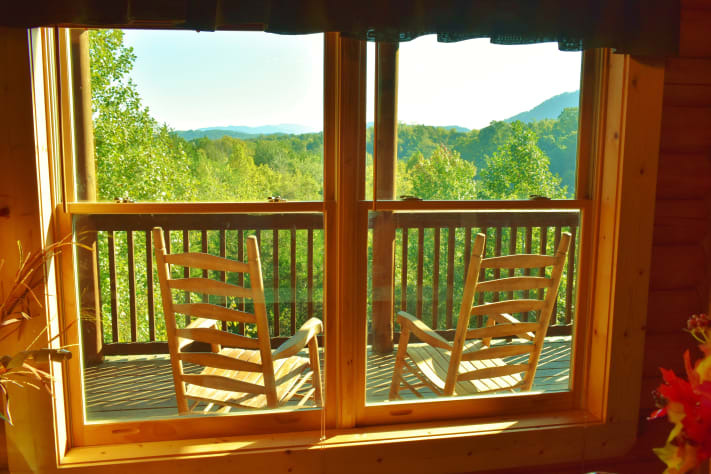 Rocky Top Refuge with its beautiful mountain views, that is close to all the attractions, yet far enough away from the hustle and bustle of everyday life, is your perfect Smoky Mountain cabin choice. You may contact me via email or phone for inquiries or you may follow the following link to:https://www.homeescape.com/90188356 to request to book!!! We are available 24/7 during your stay!! We are NOT pet friendly and we ARE non-smoking. We just got back from our week vacation in Tennessee. We had a wonderful time and the cabin was decorated beautifully for us. Denise was the absolute greatest host ever. She even decorated a Christmas tree for the kids filled with candy canes and gingerbread houses ðŸ¤— The house is located minutes from all that Tennessee has to offer. 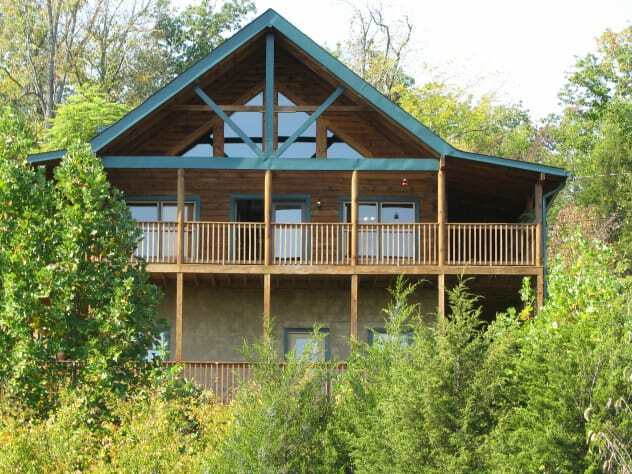 If you are planning a family trip to Tennessee, you have to stay in this cabin. There was plenty of space for our family of 6 adults and 4 kids. There was plenty to do in the cabin and the kids didn’t even want to leave the cabin. Denise was always a text message away and very helpful. I have to thank you one more time for helping me make this one of our most memorable Christmas. Great experience at Rocky Top!!! The view was spectacular! My kids loved the game room and jacuzzi! 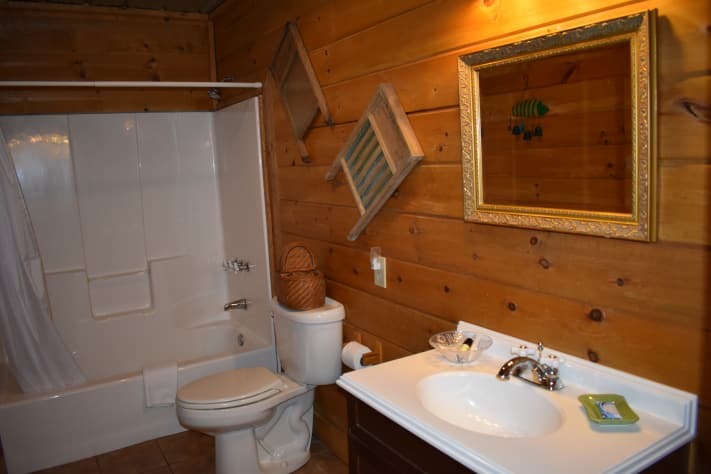 The cabin was clean and decorated beautifully for fall. We will come back! Beautiful home with gorgeous views! All the comforts of home. We were very impressed with our stay. The home was lovely, the views were amazing, and the owners obviously put every effort to make the house feel like home. We found comfortable furniture, nice beds, and everything you could possibly need in the kitchen. We traveled as a 3 generation family (grandma, parents, 2 kids), so it was nice to have separate spaces for everyone. The pool table and hot tub were a big hit with everyone too! Cynthia, Our family is so happy you enjoyed your stay at our cabin! We do indeed take great efforts to make everyone feel at home we they stay at our cabin. We enjoyed having you as our guests and hope that you stay with us again in the near future. The cabin we stayed in was incredible! We couldn’t have asked for a better place to stay. It was spacious, and beautiful. 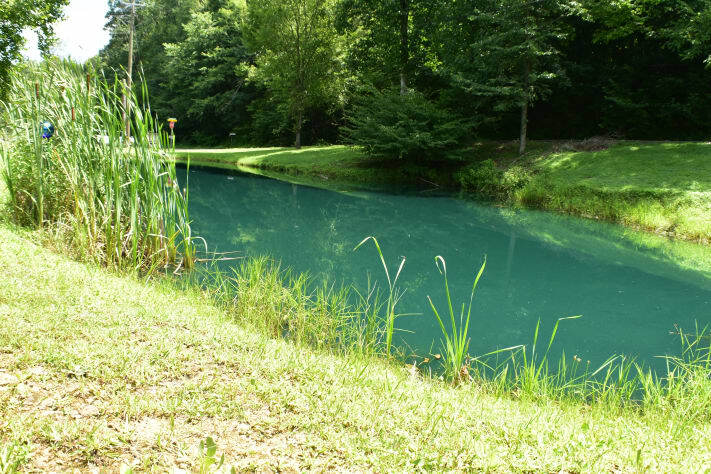 It was in the perfect location secluded and yet just a few miles from Pigeon Forge and Gatlinburg. We absolutely loved it! Beautiful Cabin with Amazing View! Cabin was clean and well maintained. Very spacious for 10 people. Beautiful inside and out. Not one single problem. 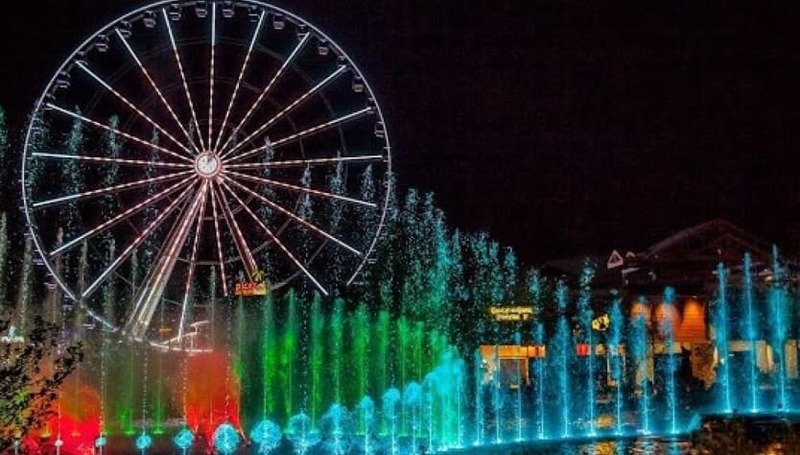 Not far from Pigeon Forge and Gatlinburg about a 10 minute drive. We have been coming to the Gatlinburg area this same week for 8 years and staying in different cabins. This was the best cabin and location yet! 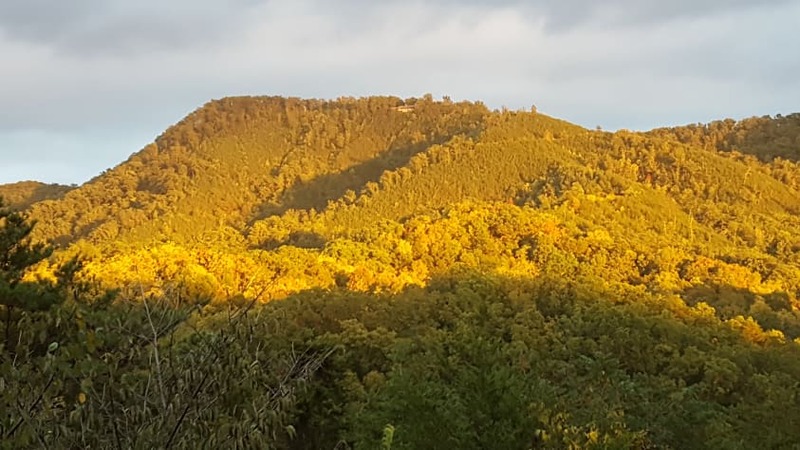 Plenty of space and perfect location - great view, and just the right distance to get to hiking, shopping, and restaurants. We might have found our permanent vacation spot! It was also the first time we ever had a thank you note and sign welcoming our family - a nice, personal and very appreciated gesture! Beautiful Cabin in Great location! Went here for a bro weekend and everyone loved it. 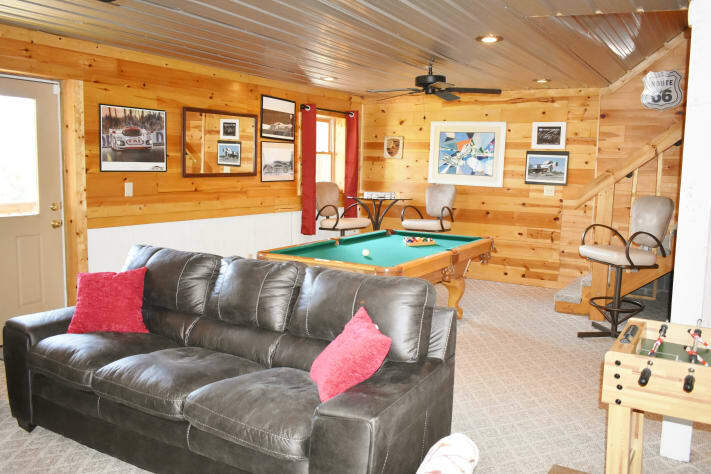 Plenty of room and beds, awesome downstairs game room area, and located in a great spot. Would definitely rent again! 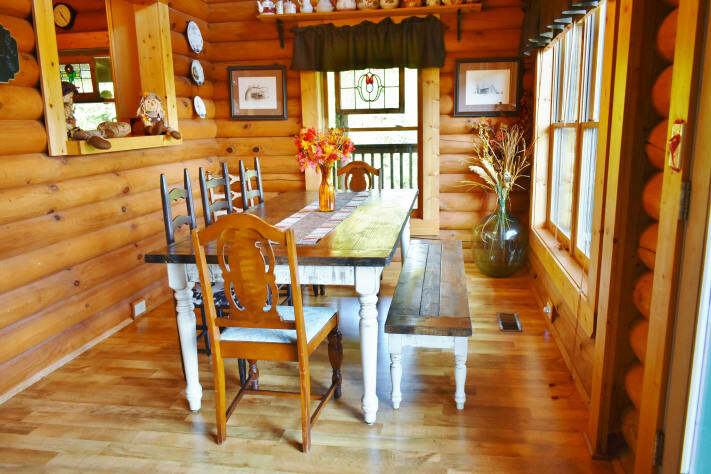 We booked this cabin just before Thanksgiving 2017 as a place for half the family to meet before heading to North Carolina to see the other half. Frankly, if the cabin slept 20 we would have just booked the entire week and had everyone meet us there! The cabin was beautiful. All 8 of us had a bed to sleep in. The "double masters" up stairs and downstairs were perfect for the parents while the kids and grandma got the twin/full beds on the main floor to themselves. Everything worked/nothing was broken. We used the fireplace to warm up on a cold night, and even slipped into the hot tub for a quick dip. We saved a ton of money by cooking breakfast and dinner at the cabin. The kitchen had everything we needed, plates, utensils, glasses, pots & pans, although we did supplement with a slow-cooker and generally left dinner cooking all day while we had fun. Logistically, the cabin is ~8 minutes to Pigeon Forge and ~15 minutes to Gatlinburg (give or take traffic). 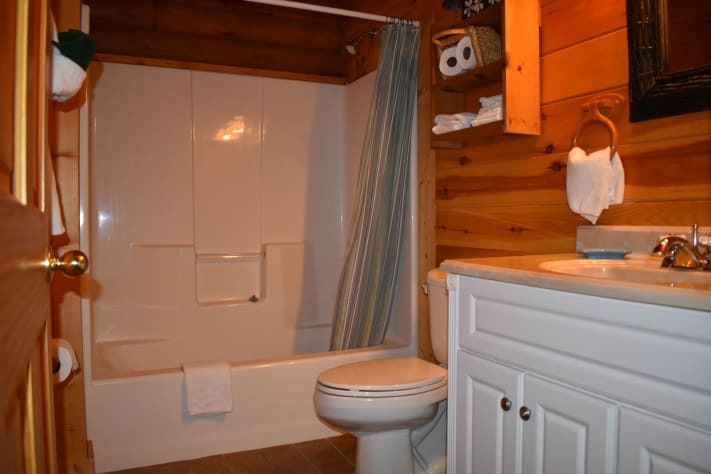 The cabin feels rustic, and you cannot see anything but nature from the decks, but you are really a short drive from anything you could want to do. There is a Walmart Neighborhood Market just 5 minutes away for food. The WiFi worked great, and our AT&T and T-Mobile cell phones had plenty of bars. The drive up from the main road had two tight turns, but our passenger cars and 3/4 ton pickup truck had no issues. Its really beautiful and the views are amazing! It was the family first time in the mountains and the experience was wonderful! The rooms was spacious, bathroom clean and it even had a full set washer and dryer! Everything was great, we’ll be back again! weekend with 4 couples...we had a blast. very relaxing and fun! This is the second time we have stayed at this cabin and it was great both times. Lots of space and a well-equipped kitchen. Location is perfect, close to the madness if you want, but plenty far away if you don't. If I had one complaint, it is that the TV package doesn't have ESPN or SEC Network. The standard response is...you didn't come here to watch TV. Yeah, I get it, but college football is the best and I was a bit disappointed by that. Otherwise, we loved it and will stay again next time we travel in the area. Superb cabin in the woods! Great location! 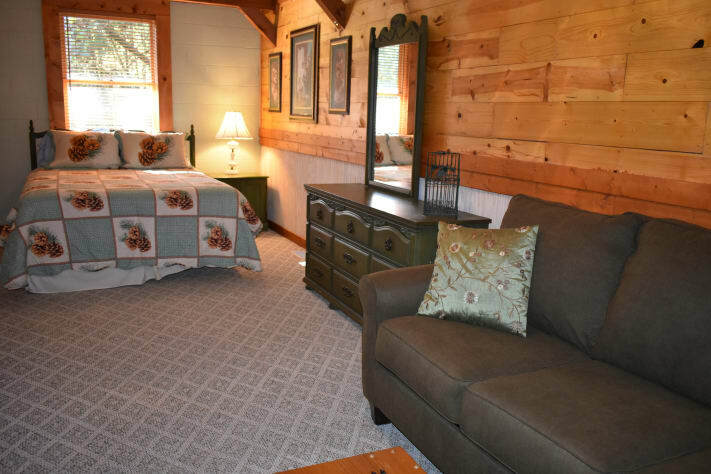 Great accommodations, was extremely pleased with all aspects of the cabins...spacious...close proximity to attractions but just far enough away to feel secluded in the woods and mountain atmosphere. Highly recommended, would return in the future!!! It was an awesome experience, already planning to book again for next year! We were in the area just for the weekend. 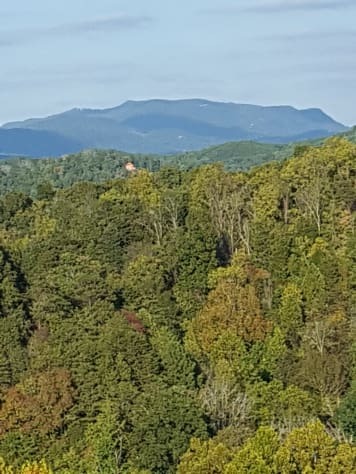 The home is beautiful and if you're wanting away from all the hustle and bustle of the "main drag" of Pigeon Forge, but not so far away that you can be in the thick of things in 15 mins., this is it. Every person in our party commented on how comfortable the beds were!!! a major plus and not something that was expected. 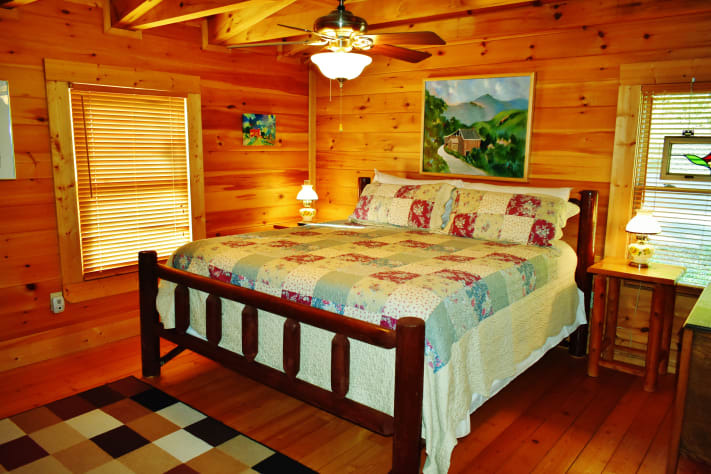 The cabin is very clean, nice furniture, DirecTv and Wi-Fi... and did I mention comfortable beds!!! Would love to stay here again when we are back in the area. Recommended for: Families with Young Children, Sightseeing, Girls Getaway, Families with Teenagers. This property has everything you need for a getaway. Beds were very comfortable! The best part was the quiet seclusion of the location, yet 15 minutes from the strip. My husband and I, our three teenagers, my parents and my father-in-law stayed for 4 days. Lots of room for everyone. Amazing views. Three "living spaces" so the kids could play games while the adults watched a movie or enjoyed the silence and views from the porch. Attractions were nearby but far enough away that we were secluded. Home was decorated perfectly and well equipped with everything we needed and more. It was spotless and we even had a personalized welcome greeting. We won't be staying anywhere else when we return. Thank you for the great review and for choosing our cabin for your vacation we hope to have you back real soon!